Since you are new to online courses, you may be wondering exactly how and when everything is going to happen. Here is a basic timeline starting with the application to MSU. You may have already completed some of these steps. First, you need to make application to MSU. You can find instructions on the Apply Online page. As a new student, you will also be required to complete a new student orientation. This can be completed online. MSU's Enrollment Services Office will send a letter with instructions after you have provided all of your application materials. To register, you will use CampusConnection. Before you can use CampusConnection, you will need to Claim Your Account. Instructions will be provided by the NDUS after you complete your application. Using CampusConnection, you can update your personal information, search the term schedule for courses, and register for courses. We have developed some step-by-step instructions for processes in CampusConnection. Registration for fall semester starts in March. Spring semester registration starts in October. Summer semester registration starts in March and is done at the same time as fall registration. A free MSU email account is set up when you apply at MSU. The Email Login can be found off of the MSU homepage under Current Students. You must check this email account regularly because all official communication from MSU will go to this account. If your email account is not working, contact IT Central. They are located in Old Main 108 or you can contact the Help Desk at helpdesk@minotstateu.edu or 701-858-4444 or 1-800-777-0750 Ext. 4444. After you register, you need to check the online course requirements to find out if there are any special requirements such software, access codes, proctors, synchronous chat, etc. for the course. Print a copy of your schedule from CampusConnection. You will need to know the subject, catalog number, class number, and delivery method of each course you are enrolled in. Go to the Online Bookstore and use the menus to select the Term, Department, Course and Section (class number). You can also call to order books at 858-3390 or 1-800-777-0750 Ext. 3390. Textbooks are usually available several weeks before the semester begins. If you have difficulties make sure to contact the Bookstore immediately so you do not experience delays when classes begin. Instructions on how to login to your online course are on our web site under Login Instructions. You will NOT be able to access your online course until the first day of the semester. On the first day of class, login to your courses immediately. Your course syllabus will be available within your online course. Get access to library services. 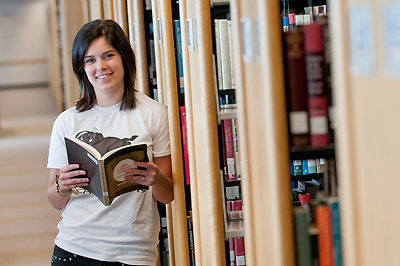 The Gordon B. Olson Library has excellent resources for off-campus students. You can search for books and articles. If you have a Beaver Card (your student id), you can use it to access the library. If not, you will want to request a library card now so that you have access to library services when you need them. If you have problems, you can contact the library at 701-858-3200 or 1-800-777-0750 Ext. 3200. Financial aid is available for online courses. You can find information on how to apply on the Financial Aid website. However, online courses are not eligible for the some award programs so you will want to verify this before you register. If you are not using financial aid, you will need to make payment for your course before the last day to pay. If your tuition is not paid by the due date, you will be cancelled from all of your courses and there is a $150 fee to be reinstated. You can make payment online using CampusConnection, by calling 858-3333 or 1-800-777-0750 Ext. 3333 with a credit card number, or by mailing a check to the following address. If you need to drop your course during the semester, you can drop using your CampusConnection portal. You will receive immediate confirmation that it has been dropped and you can check your updated schedule to verify this. You may obtain your final grades within CampusConnection two to three weeks after the class officially ends. You can also request an unofficial transcript in CampusConnection. If you need an official transcript, you will need to request it in writing from the Registrar's Office. You can find a Transcript Request Form online.